I don’t know about where you live but there I’m from it’s getting pretty warm pretty quickly… It’s supposed to be 99 degrees this week! No, thanks. 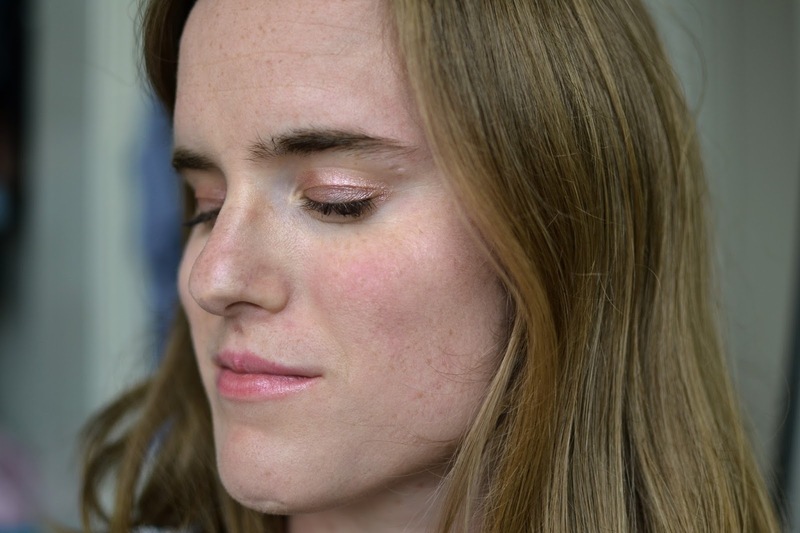 But I’ve come up with a pretty good sweat proof and easy makeup look that beats the heat! I don’t really change up my base so I’m still using the Rimmel BB cream. I like using it because it provides pretty good coverage and it has SPF! Especially important for the summer. I use a real techniques beauty blender to put it on, which I find gives it the most natural looking glow. I then like to use the Rimmel Stay Matte Powder just because I find this helps makes my base stay on longer. 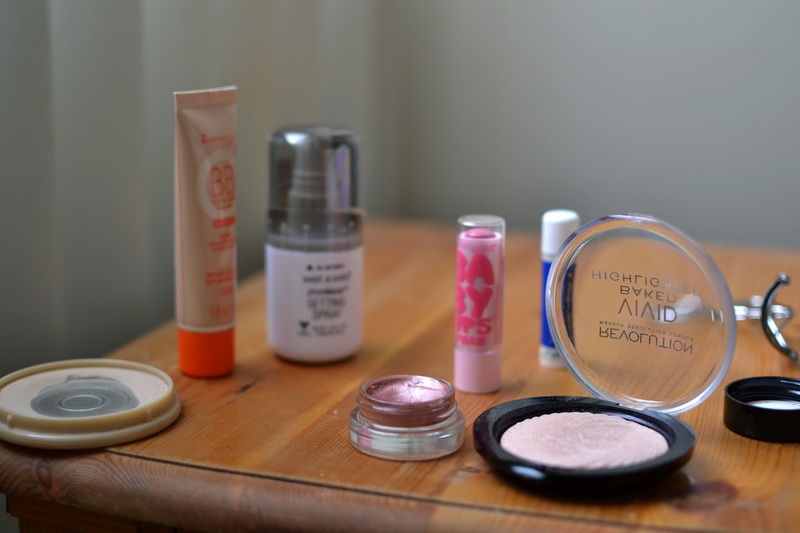 To add a little bit of glow back I have recently been loving the Makeup Revolution Highlighter in Peach lights. I find it works perfectly as a blush/highlighter duo! These highlighters also come in a few different shades to work for all skin types. For my eyes I like to keep it pretty simple. I don’t like using a lot of powder in the summer so I’ve been loving the Maybelline Color Tattoo in Inked in Pink. I also have a bronze shade, which looks beautiful all over the lid! They last all day and are so affordable. 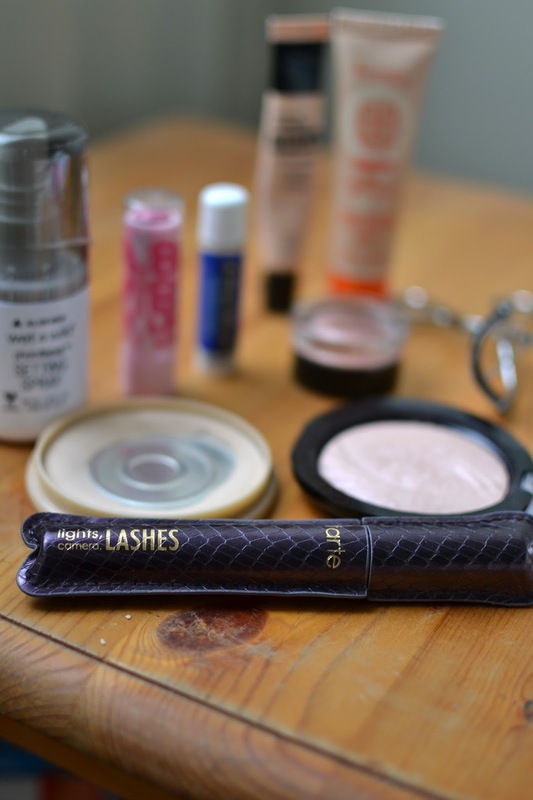 For mascara I like to use the Tarte lights camera lashes mascara. It lasts through the heat and makes my lashes look incredible! 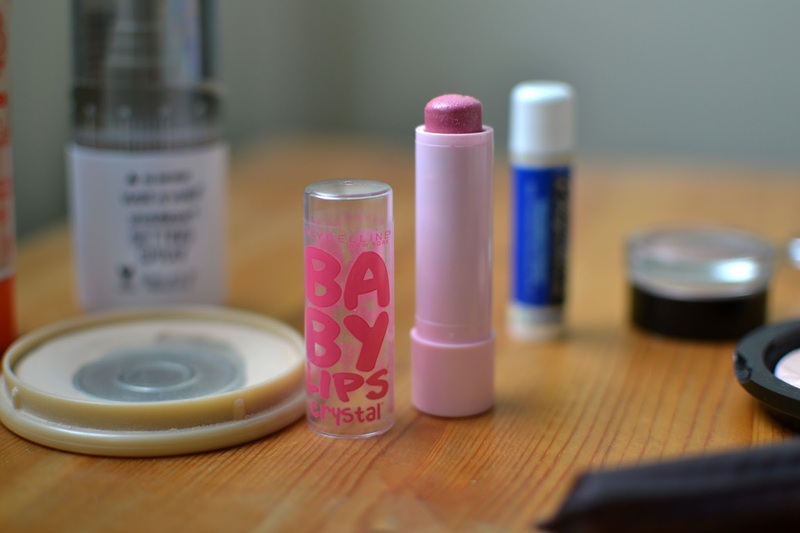 For lips I like to throw on some tinted lip balm or chapstick. 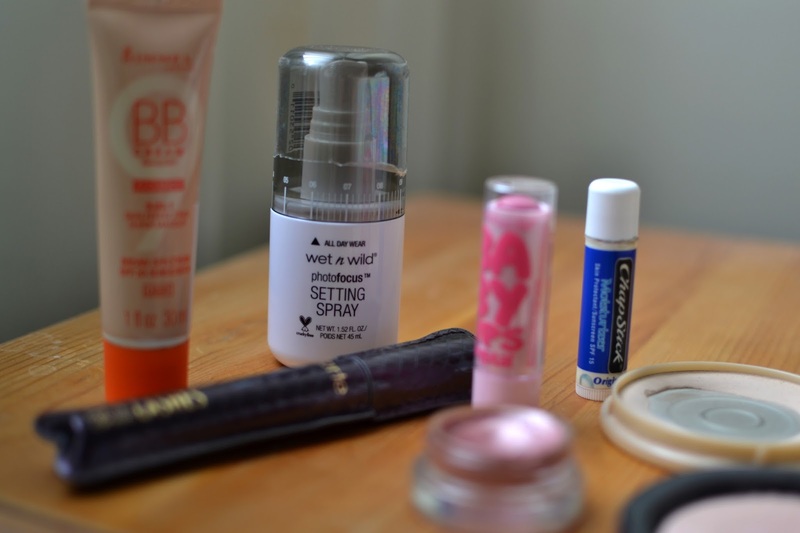 And then to make sure everything stays in place I spritz a little bit of the Wet n Wild Setting Spray. This look seriously only takes me 5ish minutes and is perfect for the hot weather! What products do you love during this time of year?